People talk about architecture and often they refer to homes and offices. Industrial architecture is getting increased attention, though. This is especially true with waterfronts. Buffalo’s riverfront/lakefront areas are a good example. Where once heavy industry and commerce monopolized these areas, now urban planners and cultural custodians are moving in. There are complex issues to solve, though. 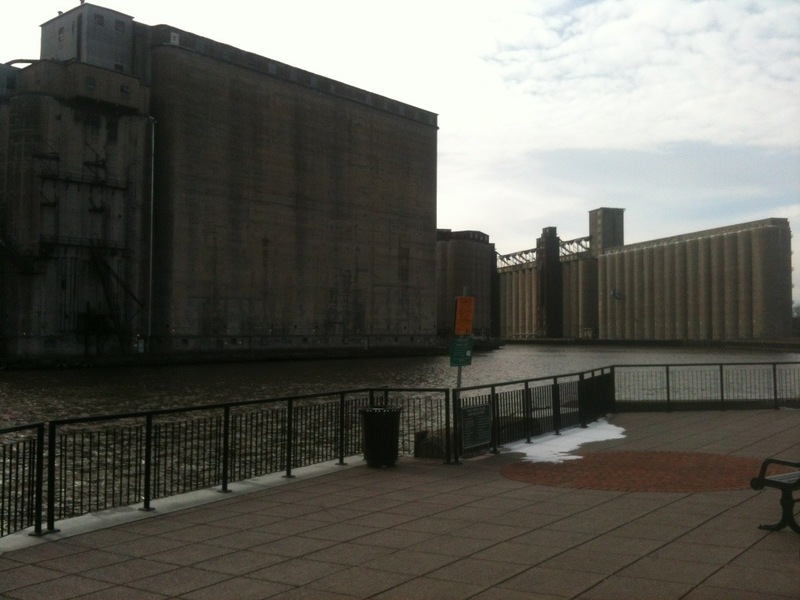 Buffalo is where the grain elevator was invented, and it turned the city into a massive rail and shipping center as Midwest grain needed to come through the port, once one of the world’s largest. So simply tearing them down is a denial of a rich history. They are wrestling with these issues in the 1st Ward, a riverside area where Irish immigrants (such as my ancestors) lived, and worked as longshoremen, lake sailors and railroad men. Or, as in my Grandmother’s case, clerks at the famed Frank Lloyd Wright Larkin Building, now gone. I toured the area with my Dad, looking at childhood haunts. There is a revival going on, with parks and music fests planned for old industrial sites like Republic steel. I took this picture near the Ohio Street Bridge. By the way, I’m posting this with the WordPress iPhone app, which I’m finding very easy to use.